I used to pair this Mexican-influenced slaw with grilled halibut for zesty soft tacos. And that is still a delicious pairing. But I’m a vegetarian today so thought I’d heat up some black beans. Then I had a crazy idea. Why not make them from scratch? Something I had never done. Too much trouble, I had thought. How very, very wrong I was! Sure, it takes some forethought. But I’m a meal planner, after all. So I soaked the beans according to the package – choosing the “quick soak” method because I am, at my core, impatient. Following a quick boil and an hour-long soak I drained and rinsed them and returned them to medium heat with some fresh water and let them simmer for a few hours while I went about my day. When they started to soften I added a small can of diced green chilies and a few tablespoons of cumin along with a teaspoon of red pepper flakes. The cooking continued and what resulted was a pot of black beans with an earthy aroma, a soft bite and a taste so far superior to canned beans that I don’t think I’ll ever be able to go back. I made the entire bag and was able to freeze half so I have some waiting in my freezer for another day. Bliss. Once the beans were done I slathered them on a tortilla and topped it with my cabbage, carrot and onion slaw mixture (see recipe below) and a dusting of crumbled cotija cheese (jack cheese would do just as well) and sat down to a healthy, fresh and terribly inexpensive meal. What I love about how this transpired is that it wasn’t planned. Amazing things can happen in your kitchen if you follow your instincts and listen to your stomach and feel empowered to try new things. What resulted for me this week is a new, favorite dish. Something I will prepare again and again. I hope you will try it. Or at least let yourself go to explore new possibilities and expand your culinary horizons. ¡Buen apetito! Once the garlic and pepitas have formed a paste, add the water, lime juice and zest and honey. Mix until well blended. Add half the cilantro and blend until smooth. Season with salt and pepper as needed. Mix the dressing with the cabbages, carrots, onion and remaining cilantro. It’s best to let this mixture sit for about a half hour before serving. As noted, serve alongside any kind of soft taco you like. Or it can be served as a separate salad. The dressing can also be used to make a salad entrée – served over lettuce, corn, red peppers, and whatever protein you prefer. When I think of spring vegetables – asparagus comes immediately to mind. It’s so fresh and earthy and…well, green. The verdant spears, often tinged with purple at the tips, would make a beautiful bouquet, I think. Asparagus is tender and succulent, healthy and extremely versatile. In sunny California the first crops are picked as early as February, however, the harvest season here in Washington usually begins in early April and lasts through June. The warm spring days and cool nights provide perfect growing conditions for this perennial crop. When shopping for this delectable treat, look for firm, uniformly sized spears with closed, compact tips. I’ve been told that the larger stalks are more flavorful and tend to agree. Try to prepare it soon after purchase – asparagus does not seem to like sitting around in the fridge. If you need to wait a day or two, wrap the cut ends in a moistened paper towel and wrap in plastic. There are a number of ways to prepare Asparagus. Regardless of the method you prefer, make sure you take off the bottom of the stalk – which can be hard and woody. A favorite tip of mine is to snap the whiteness end of one spear – it will break to delineate the tender top from the hard bottom. Then you can line up the remainder of the bunch of stalks and cut off the bottoms in line with the one that snapped naturally. I’m listing basic cooking instructions below followed by some favorite recipes. Many people have long considered asparagus to be a delicacy and reserved it for special occasions. Considering its versatility and considerable health benefits – I hope it becomes a spring staple in more kitchens. I know I’ll be picking up a bunch whenever I see it. Steaming – cut asparagus into 2 inch pieces and place in a steamer basket, dropping it into a pan of shallow boiling water. Turn the heat down to medium, cover the pan, and cook the asparagus 2 to 5 minutes or until crisp tender. Boiling – bring water to boil in a shallow pan. Cook asparagus in boiling water until crisp-tender, about 4 to 6 minutes. Remove immediately and place in ice bath to shock to stop cooking process. Sautéing – heat olive oil in a sauté pan until quite hot. Add asparagus (whole spears or cut into pieces) and cook 3-5 minutes, stirring frequently. Roasting – Preheat the oven to 450 degrees. Toss asparagus spears in olive oil and sea salt. Spread prepared asparagus on a baking sheet in a single layer. Avoid overcrowding as the asparagus will steam rather than roast. Roast for approximately 10 minutes. Grilling (my personal favorite) – Have the grill heated to a medium heat. Toss with olive oil and sea salt. Place the stalks on the grill so that they are perpendicular to the grates. You can even thread them onto skewers or use a grill basket. Grill the asparagus for 5 or 6 minutes, turning them slightly every few minutes to provide even grilling. Remove tough ends from asparagus and cut into 2-inch lengths. In a medium bowl, toss asparagus with 2 tablespoons olive oil and minced shallots. Season with salt and pepper. Place asparagus on a large rimmed baking sheet. Try to avoid having pieces touching – this will result in steamed as opposed to roasted asparagus. Set bowl aside for later use. Roast until tender, tossing occasionally, approximately 10 minutes. While asparagus is roasting, generously salt boiling water. Add pasta, and cook until al dente, according to package instructions. Set aside about one cup of the pasta water; drain pasta and return to pot. In the medium bowl used for tossing the asparagus, combine goat cheese, remaining 2 tablespoons olive oil and 1/2 cup pasta water. Season with salt and pepper, and mix until smooth. Add goat-cheese mixture and asparagus to pasta; toss to combine, adding more pasta water if necessary for sauce to coat pasta. Toss in chopped oregano. Serve pasta garnished with toasted pine nuts and lemon zest. Roast asparagus according to instructions for Pasta recipe above – but keep spears whole rather than cutting into pieces. Grilled asparagus would also be delicious for this recipe. Cook only until al dente – closer to 8 minutes. Remove from oven and let cool slightly. Place in Ziploc bag and place in refrigerator to chill – approximately 1 hour or overnight. Prepare the vinaigrette by whisking all ingredients together until smooth and starting to thicken a bit. To serve, place asparagus on serving platter and spoon vinaigrette over the spears. From time to time, my food tenets (fresh, local, nutritious) need to take a backseat to an intense desire for comfort food. Happily, while I used to navigate towards junk food laden with saturated fat and sodium (i.e. bright orange, boxed macaroni & cheese or equally bright orange cheese Doritos) – today I crave foods that are at least moderately healthier. This weekend, it was sumptuous and spicy Thai food. As luck would have it, I had the good fortune to be hanging out with like-minded friends. We hunkered down in a beautiful home on Bainbridge Island as a spring storm created white caps on the usually serene water and tried to strip the trees of their blossoms. My fellow captives and I scoured cookbooks and iPhone culinary apps for the perfect recipes for Tom Kha Gai and Pad Thai – and we stumbled upon a few winners. Off to the store we went to collect all manner of exotic ingredients – tamarind paste, galangal, lemon grass, rice noodles and coconut milk. Luckily the refrigerator was already stocked with kaffir lime leaves, tofu, fish sauce and spicy Sriracha. Now I fully realize that this list of unusual ingredients may seem intimidating and does not support my fundamental objective of concentrating on recipes that are simple and easy to make. And I acknowledge the fact that the recipes below do not exactly feature produce newly picked from the farmer’s market – which is also contrary to my typical focus on all things fresh and local. I hope I will be forgiven for these temporary lapses in my devotion to these important principles. From time to time, however, I simply crave food that is soothing and luxurious. For me, savory Thai food has the power to transport me away from my worries. AND – I honestly love these dishes and hope to demystify them and encourage you to try them. Candidly, while they are two of my favorite things to eat in restaurants, I had long been intimidated by the thought of cooking them at home. I am happy to report that, like most things in life, my anxiety ended up being disproportionate to the actual task at hand. By following the instructions carefully, these two dishes are easy and enjoyable to prepare. ให้อร่อยนะ – or “hi aroi na” (the closest I could find to “bon appétit in Thai). Adapted from a recipe in Barbara Kafka’s book ‘Soup a way of life’. Tom kha gai literally translates to “chicken galangal soup.” It is a spicy hot soup in Thai and Lao cuisine made with coconut milk, galangal (a root that is somewhat similar in taste to ginger with a nice hint of citrus), lemon grass and chicken. We made a vegetarian version featuring vegetable stock and excluding the chicken. 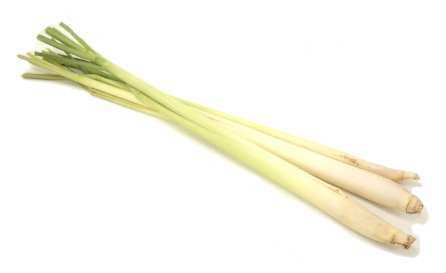 Prepare the lemongrass by removing the outer sheath and the hard ends. Hit the stalk a few times with the back of a knife and cut into three pieces. In a medium heavy saucepan add the oil, garlic and onion, turn heat to medium. Cook for a minute, stirring and then add the lemongrass, curry paste, galangal and lime leaves. Cook stirring often for about 3 -4 minutes. The onion should begin to soften. Add the stock and bring to a boil, reduce the heat to medium and cook for 15 minutes. Bring soup back up to a simmer and add the coconut milk and mushrooms. Cook for about 5 minutes or. Add the lime juice, brown sugar and Nam Pla. Taste and add additional sugar for additional sweetness and/or Nam Pla for additional saltiness. If you wish, remove the galangal, lime leaf and lemongrass now. We left it in as it is easy to fish it out. Place in bowls and sprinkle with cilantro and scallion. Consider serving with jasmine rice. Pad Thai, literally translated to “fried Thai style”, is one of Thailand’s national dishes and likely the top seller at most Thai restaurants in the U.S. I find that the “Americanized” version can be cloyingly sweet and learned that a number of recipes include ketchup – which solves the mystery of the reddish hue gracing many platters of this culinary delight. For those of you used to this crimson version, do not be dismayed that the following recipe results in a dark brown version of Pad Thai. This version’s sweetness comes from tamarind – which might be more challenging to find if you don’t have an Asian market nearby. But it’s worth the hunt. Meanwhile, make sauce by combining the tamarind paste, soy sauce, brown sugar, and Sriracha, stirring until sugar has dissolved. Set aside. Heat oil in large sauté pan (or wok) over medium heat until hot, then fry the shallots over medium-low heat, stirring frequently, until golden-brown, 8 to 12 minutes. Remove from pan, leaving the oil in the pan, and set aside. Reheat oil in pan over high heat until hot. Fry tofu in 1 layer, gently turning occasionally, until golden, 5 to 8 minutes. Transfer tofu to paper towels using a slotted spoon. Pour off frying oil and reserve. Heat pan over medium heat, adding about 5 tablespoons oil (use any reserved oil from previous cooking) until heated. Add noodles and stir-fry about 3 minutes (tongs are useful here to keep the noodles from sticking together). Add tofu, bean sprouts, and sauce and simmer, turning noodles over to absorb sauce evenly, until noodles are tender, about 2 minutes. Stir in eggs and shallots and transfer to a large shallow serving dish. Sprinkle pad Thai with peanuts and serve with lime wedges and cilantro sprigs. End note: as stated in a few previous posts, I do my best to take all the pictures featured in this blog. However, the first three photos above are not mine. 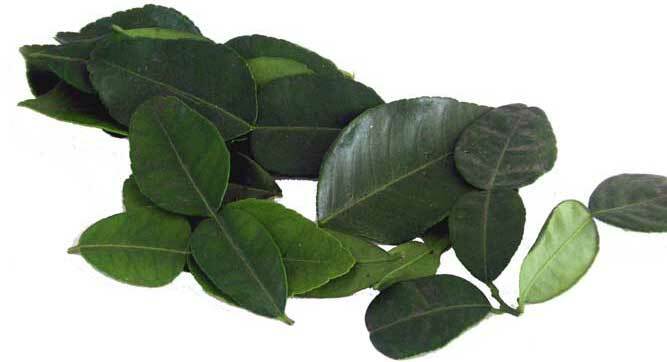 I wanted to display the tamarind, lemongrass and kaffir lime leaves in their natural state – but only thought to do so after the ingredients were well on their way into the dishes. And frankly, the tamarind paste is just not all that aesthetically pleasing – hence the borrowed pictures of the seeds.